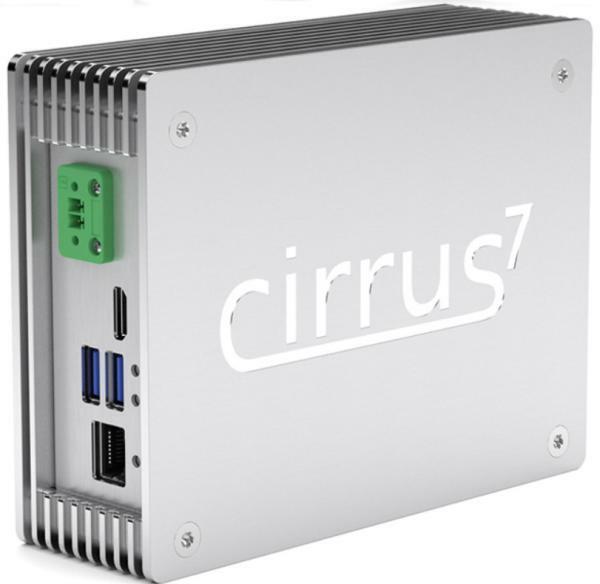 Cirrus7 has launched an “AI-Box TX2” mini-PC with a Jetson TX2 module with -20 to 70°C extended temperature support. Cirrus7 also offers four Kaby Lake-based mini-PCs and a new Gemini Lake model. The AI-Box TX2 has a similar build like its earlier 7th Gen Kaby Lake-based mini-PCs, but it is the smallest of all with 155 x 120 x 49mm dimensions. The AI-Box TX2 is designed based on the Jetson TX2 module, which is fitted with dual high-end “Denver 2” Arm cores and 4x Cortex-A57 cores. The AI-Box TX2 offers 8GB 128-bit LPDDR4 and 32GB eMMC. The AI-Box TX2 also has an optional microSD slot and a standard M.2 M-key 2280 slot with SATA and PCIe 2.0 x4. It also supports an optional NVMe SSD. An optional 802.11ac (WiFi 5) with Bluetooth module is available, as well as dual SMA connectors for antennas. The AI-Box TX2 offers GbE, USB 2.0, and 2x USB 3.0 ports. A mini-HDMI 2.0 port supports 4K displays, as well as optional CAN, UART, and I2C interfaces. 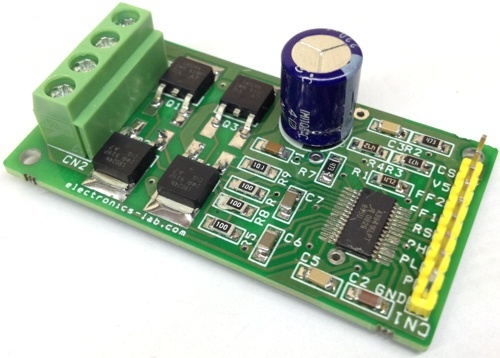 The system is protected by an optional power input for a second supply or UPS, and also an optional DIN-rail power supply. The system offers various mounting options, such as DIN-rail, VESA arm, and wall mounting. The system operates at 8-10W, with a less than 4W in idle. Option to customize the system by special order is available. The 256-core Pascal GPU and its CUDA libraries enable AI and machine learning algorithms useful in applications for drones, robotics, and a host of technology. Cirrus7 Nimbini v2 Gemini Edition: The 157 x 157 x 81mm Nimbini v2 models are built on Intel NUC baseboards, and support dual 4K displays. The Gemini Edition offers a choice of Intel Gemini Lake SoCs instead of Kaby Lake. The Nimbini v2 Gemini Edition offers a GbE port, 4x USB 3.0 ports, a mini-Toslink digital audio jack, and 2x HDMI 2.0a ports for up to [email protected] video. The price starts at 299 Euros ($344) with a dual-core, 2GHz Celeron J4005 with Linux, but without RAM, storage, WiFi/BT module, or mounting options. For a configured model with 4GB DDR4 and 120GB SSD, it is priced at 357 Euros, or $410. For a quad-core, 1.5GHz Pentium Silver J5005, an additional 69 Euros is charged, and it goes for a total of $426. It offers up to 16GB RAM and storage to 2TB. A SATA drive can be included in addition to the standard M.2 slot, or swap out the M.2 for one or two SATA drives.